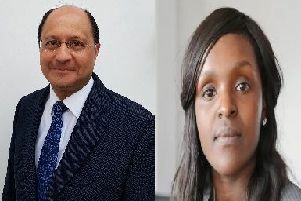 Peterborough’s Conservative MP has said his party’s Government has missed an opportunity to crackdown on corrupt voting practices, particularly in cities with diverse ethic communities. Stewart Jackson, the Tory MP for Peterborough, said that while he welcomed parts of the Queen’s Speech, delivered yesterday, Wednesday May 19, there were others where the Government had “missed an opportunity”. He suggested the Government had “missed a trick” by failing to bring forward a corruption bill, and that more notice would be given to the matter if it were an issue in the wealthy south east rather than cities like Peterborough. “I am still very concerned... as to the practice of the misuse of postal votes, particularly the coercion of women in some minority ethnic communities, behind closed doors and those votes are effectively stolen,” he said. “Because it happens in Birmingham, in Peterborough, in Oldham, in Blackburn, people seem to turn a blind eye. He also said the lack of legislation to deal with House of Lords reform was a “regret” and that the Government should have brought forward a formal Sovereignty Bill “to defend the role of this House”. David Cameron insisted the Government’s legislative programme was progressive and is possible because of its strong economic performance. The Prime Minister drew particular attention to proposals to give households and businesses a legal right to high-speed broadband, saying it would help boost productivity and exports. He said the Queen’s Speech was “built on strong foundations” of the deficit cut by two thirds as a share of GDP, high employment rates and an economy 13% bigger than in 2010. Then he went on: “But I am the first to say there is far more to be done to entrench our strong economic performance. Jeremy Corbyn has warned the Government has yet to understand “cuts have their consequences” as he claimed it is continuing to fail Britain. The Labour leader said the Conservatives have developed new policies in the Queen’s Speech which prevent the creation of a more equal society and opportunity for all. He added it continues the failings of previous years as he also criticised the Government’s inability to meet its economic targets. Replying to the Queen’s Speech, Mr Corbyn said the Opposition will judge the Government’s proposals against three tests - including whether it delivers a more equal society, an economy working for everyone and a society offering opportunity for all. Speech militate against those aims, as have the proposals in previous years. National Health Service accident and emergency departments. “When you saddle young people with more debt you impede their ability to buy a home or start a family. “When you fail to build housing and cap housing benefit then homelessness and the number of families in temporary accommodation increases. “When you slash the budgets of local authorities then leisure centres close, libraries close, children’s centres close. “When you close fire stations and cut firefighters’ jobs, then response times increase and more people are in danger of dying in fires.